Directions: May be used in any direction, front, back or side, to remove ticks. 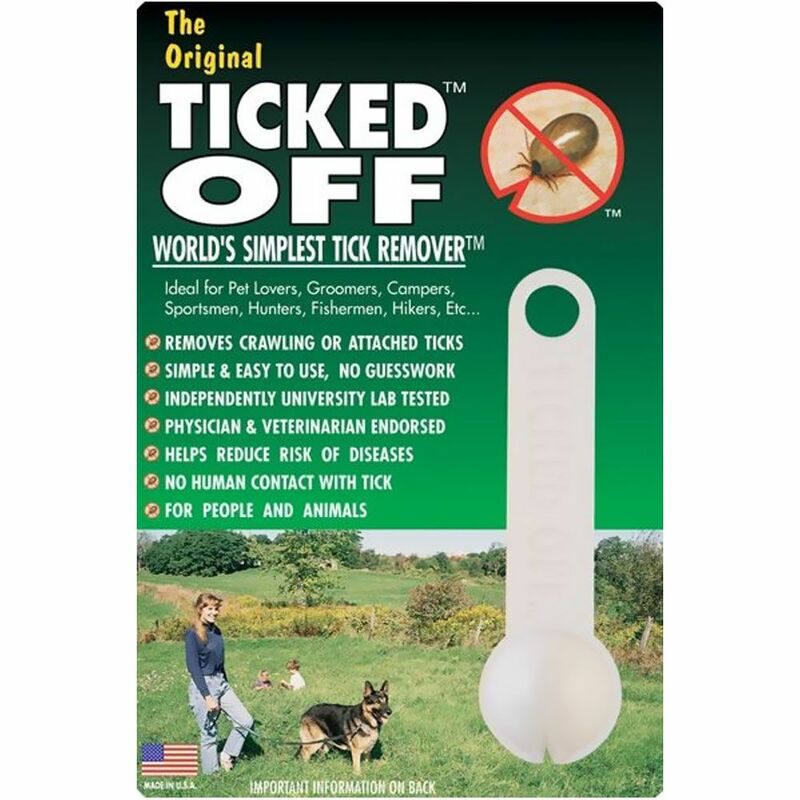 Once the tick has been isolated, is clearly visible and free from obstruction, place the wide part of the notch on the skin near the tick (hold skin taut if necessary). Applying slight pressure downward on the skin, slide the remover forward so the small part of the notch is framing the tick. Continuous forward sliding motion of the remover detacthes the tick. The tick is now entirely removed. Dispose to the tick or save for testing. Treat the wound as needed. 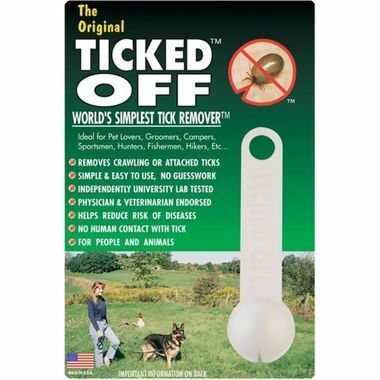 Clean the tick remover with alcohol or similiar disinfectant. For adult and adult-supervised use; not at toy. Simply the best way to remove an embedded tick. Buy several and have them handy. This is a great tool! I highly recommend having this on hand. 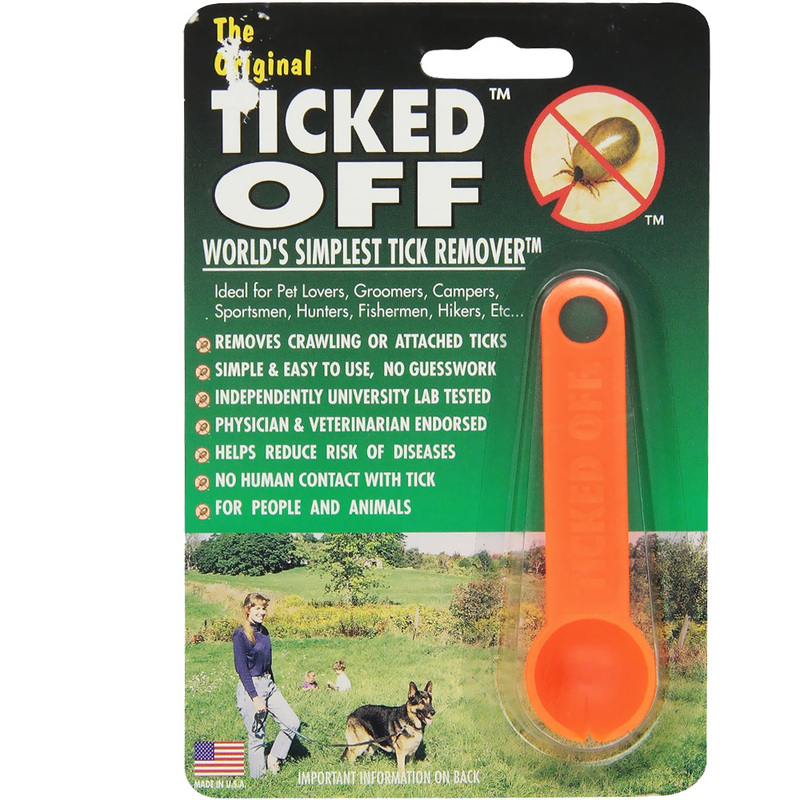 It makes tick removal so much easier than using tweezers!